​WELS is Australia's Water Efficiency Labelling Scheme that requires certain household water-using products to be registered and labelled with their water efficiency in accordance with the standard set under the national Water Efficiency Labelling and Standards Act 2005. Products currently included in the scheme are washing machines, dishwashers, showers, taps, flow controllers, toilets and urinals. The Australian Government administers the scheme in cooperation with state and territory governments, which have complementary legislation to ensure national coverage. We help you to choose the best products for your home by providing details on the water efficiency rating on these products. Look for the number of stars and litres per minute or flush on our product listings. Choosing more efficient products helps Australia save water and energy. 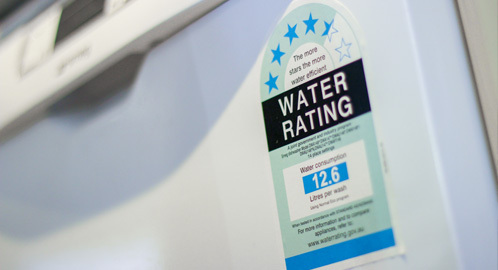 For more information about the Water Efficiency Labelling Scheme visit the website.